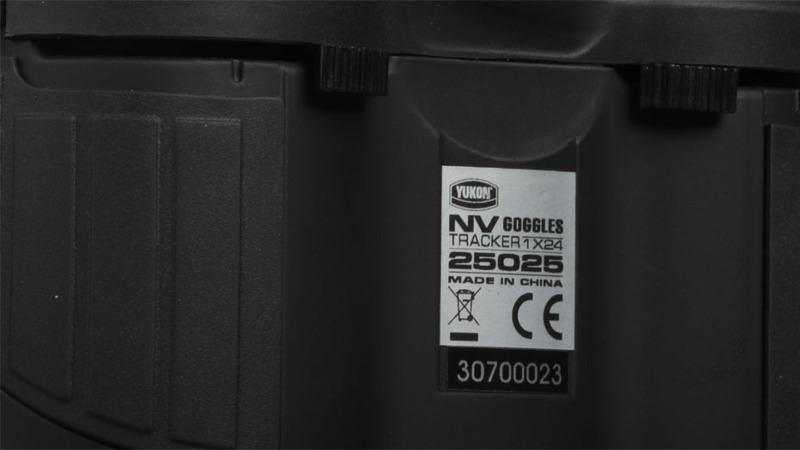 Tracker NV 1x24 Goggles include adapted night vision binocular NVB Tracker and a Head Mount. The kit is designed for effective observation in partial and total darkness, and permits the user to have his hands free. 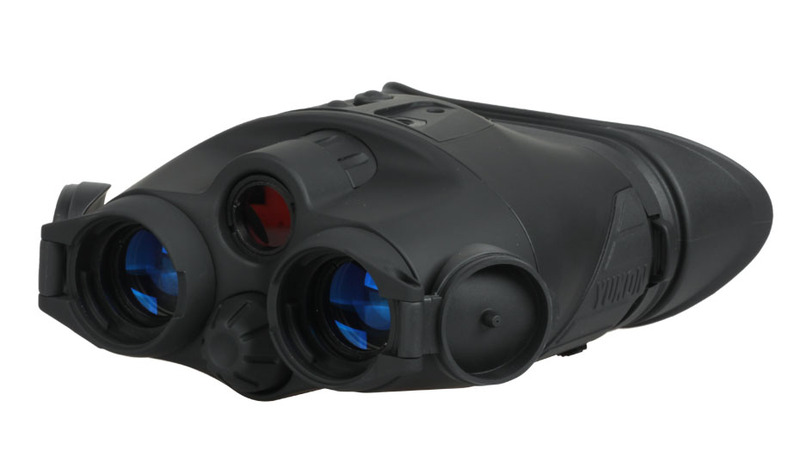 The binoculars consist of two independent image intensifying modules, placed in a one-piece housing made of water-resistant plastic with special coating. Permanent interpupillary distance increases the reliability of the unit. 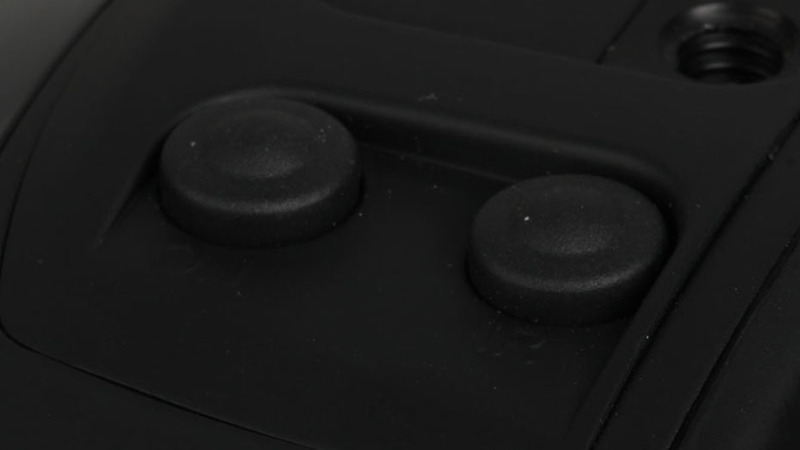 The Infrared Illuminator is necessary for effective viewing in total darkness. The binoculars have the handy central focusing mechanism that allows the picture and regulation of the eyepiece to be adjusted. A solid yet soft eyeshade protects eyes from any side flashes. It masks green luminescence making the product safe. 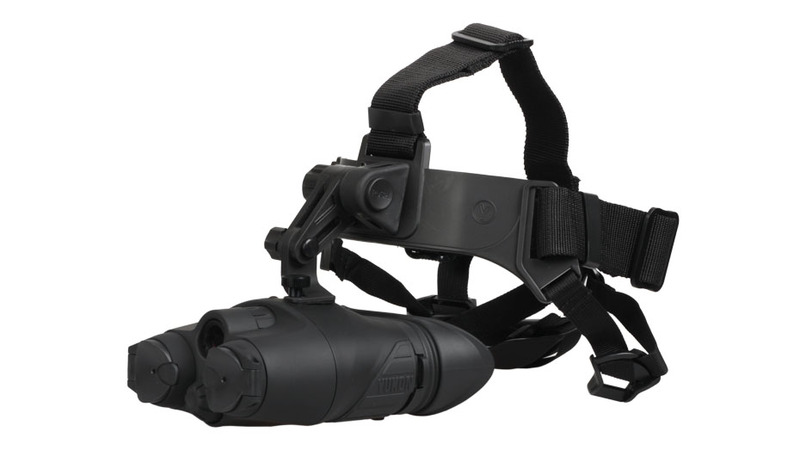 The Head Mount ensures stable positioning of a night vision device in front of the user\'s eyes, even while in fast motion (pacing, running, abrupt movements). 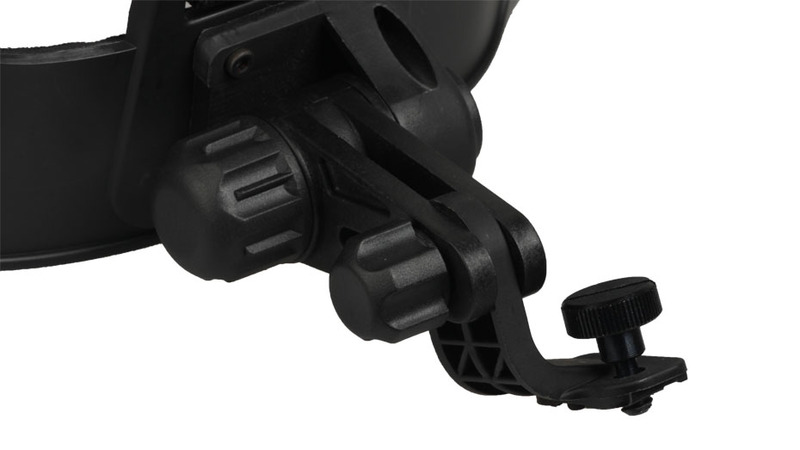 The Head Mount is simple and convenient to use. 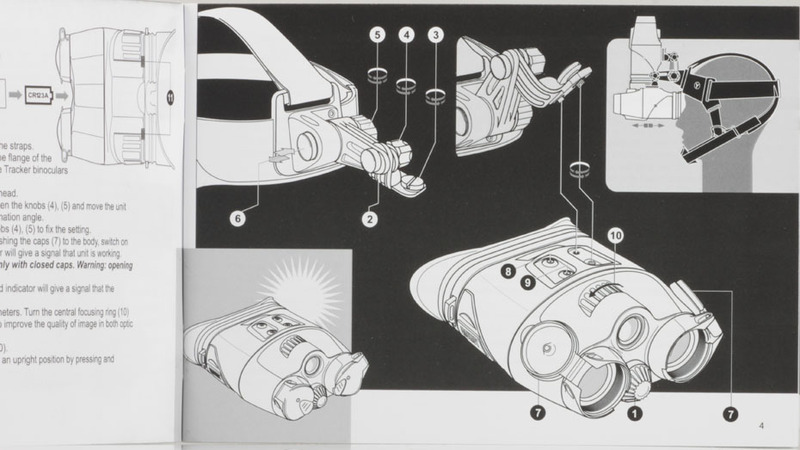 All adjustments, such as 90° raise of the unit, set the night vision device\'s position relative to the eyes. “Forward-backward” and “right-left” directions are made by one hand. Minimal protrusion of the suspension junction reduces fatigability and load on the user\'s neck if operated for long periods of time. The Head Mount combined with the Tracker NV 1x24 Binoculars are ideal for high-tech ranger games, night hiking, and air-soft shooting. Night vision goggles are completely self-contained and can work up to 40 hours from one 3V (CR123A) battery at temperatures ranging from -20°C to +40°C. Other operations, those requiring a hands-free NVB. NOTE: This product is accessory of Guns. Customers should contact local customs or related authorities to check whether this product can be imported and used or not. We are not responsible for customs confiscations or punishment due to the destination country\'s local Law. Before returning the items, please confirm the return address and the logistics method with us. And send us the tracking number. As soon as we receive the items, we will repair or exchange them as soon as possible.